Ok...I know I'm a little late posting these pictures. 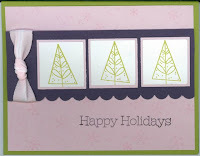 These are the cards that we made at the October Christmas Card Stamp A Stack. We had 7 stampers sign up and we had a total blast. 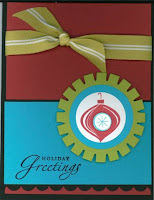 It was a bad weekend as it was the Saturday of Fall Break and many of my stampin buddies had other plans. 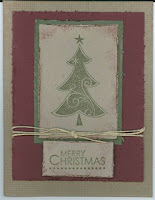 I have one more Christmas Card Stamp A Stack planned for November (11/22). If you would like to come please email me to RSVP. You will get to make 2 each of 4 designs. The cost of the Stamp A Stack is a $25 product order (before tax & shipping). Hope to see you there!!! 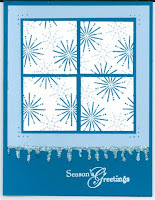 I love the window pane card. You always do such a good job. I'm sad that I missed the event.